I love a perfectly set table. 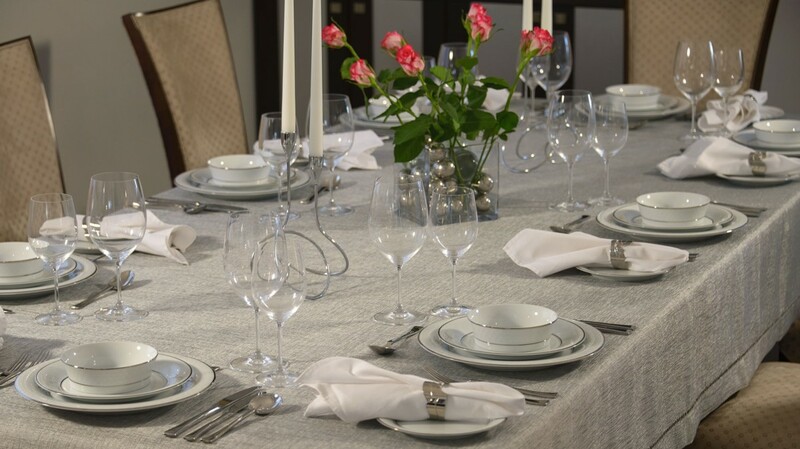 An elegant tablescape is truly an art form, and should be valued as much as the fancy cuisine that is served. 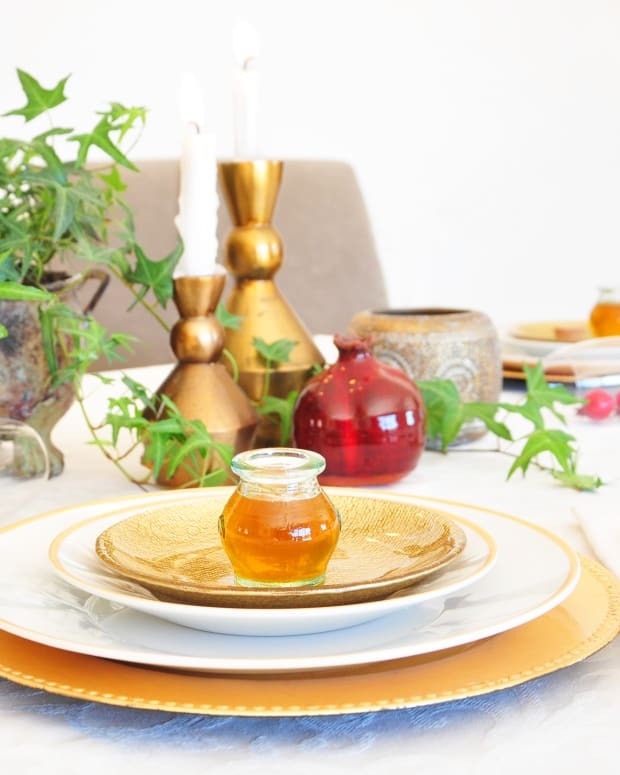 These six steps to setting a stunning table will wow your guests before they even taste the food. 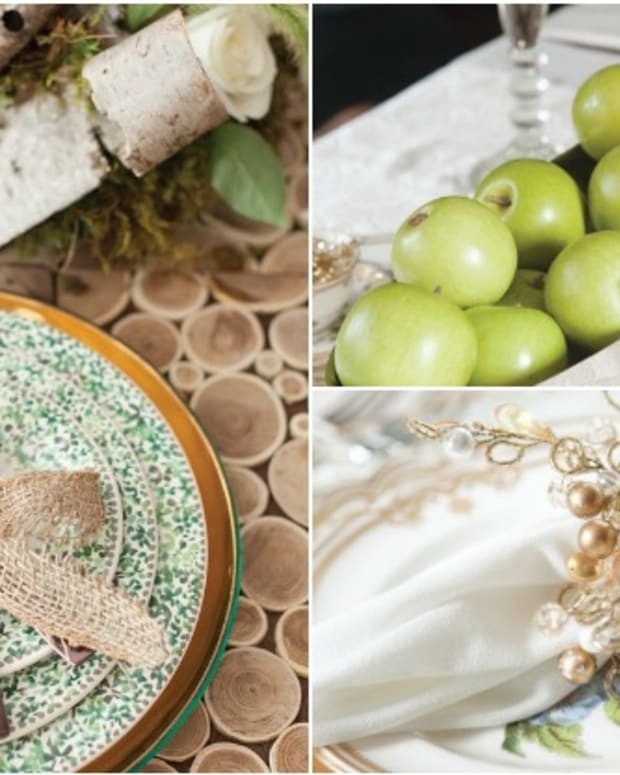 Often underestimated, these blank canvases for a tablescape masterpiece are art unto themselves. 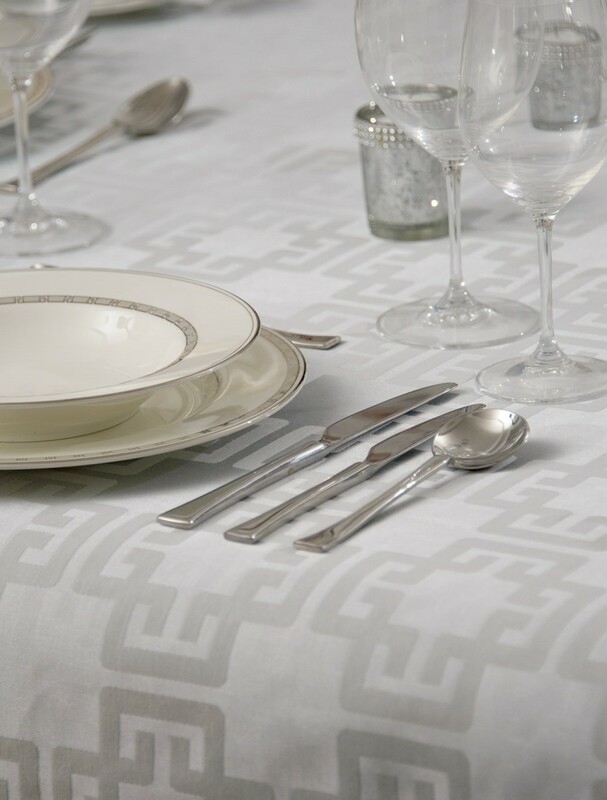 Tablecloths can be as attractive as they are functional, and your table couture should be as fine as the china above it. Solid white or other neutral tones work best as an understated backdrop. Centerpieces can run the gamut from simple tea lights atop upside down stemware, to elaborate floral bouquets. 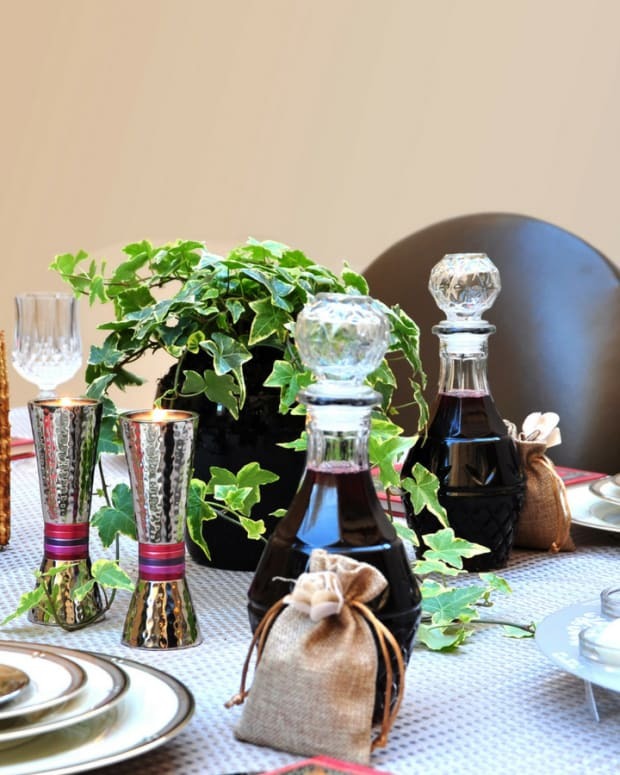 Whatever your centerpiece choice, it is sure to increase the wow factor and spark conversation. Take care, however, that it isn&apos;t too large that it would obstruct your guests&apos; view of each other. 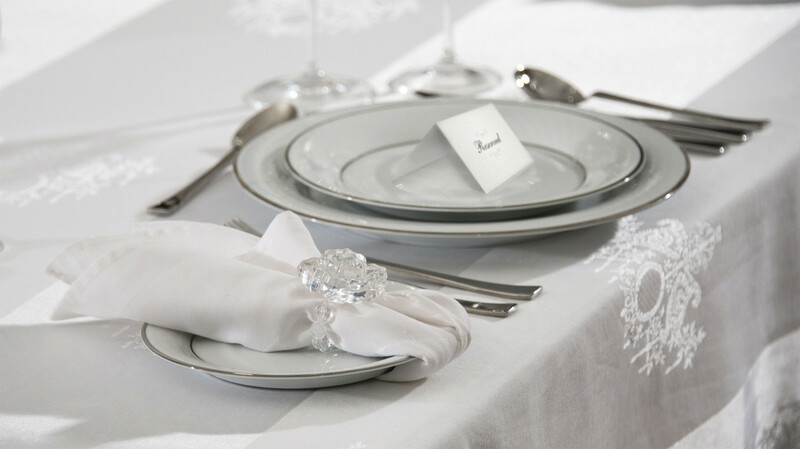 An elegant table is not complete without decorative underplates. Since food is never served directly on them, chargers can be found in a variety of unique materials. These oversized plates are an inexpensive way to add a pop of color, texture, or pattern to your table. Atop the charger, I set a china dinner plate, followed by a first-course soup bowl or salad plate. 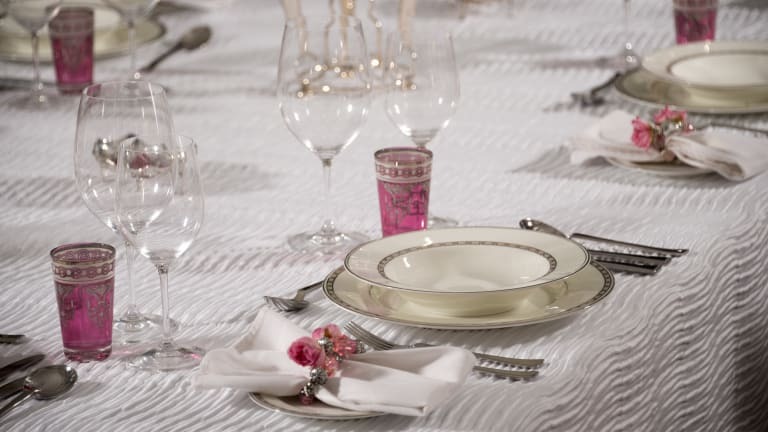 Whether you are eating a casual dinner at home, or hosting a formal event, silverware is always positioned in the order in which it will be used, from the outside in. Forks are placed to the left of the plate, the first course fork being the one farthest to the left, and knives and spoons are placed in a corresponding order on the right. Dessert spoons or forks should always be placed horizontally above the plate. With regard to patterns of silverware, consider utilizing mismatched utensils, as long as they share a common denominator. 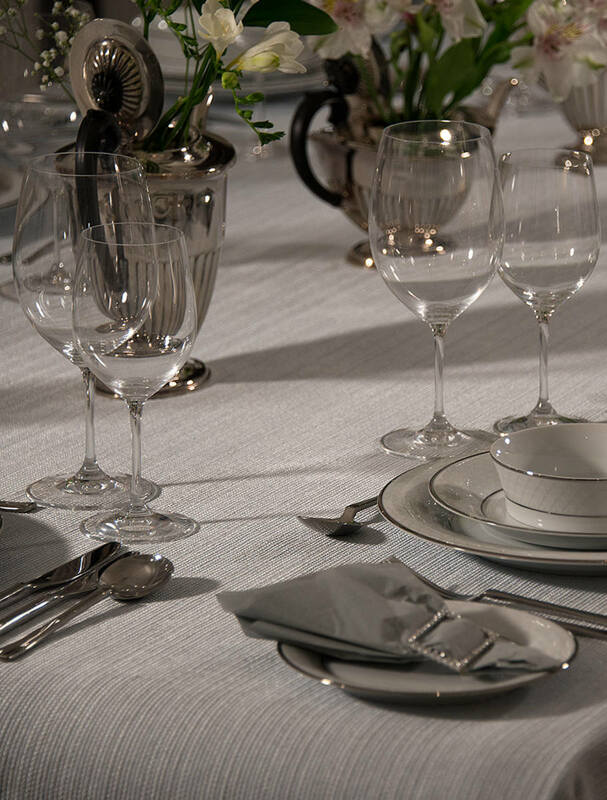 Glassware is positioned directly above the knives, to the right of the plate, and can be tailored according to which beverages you intend to serve. 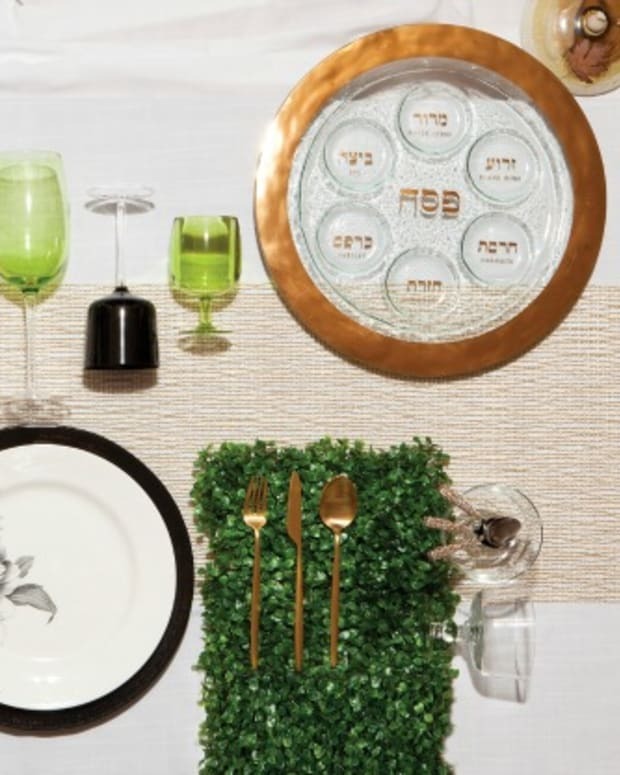 As with the utensils, glassware is arranged in order of use, beginning with the water glass, directly above the dinner knife and extending to the red and white wine glasses to the upper right and side. 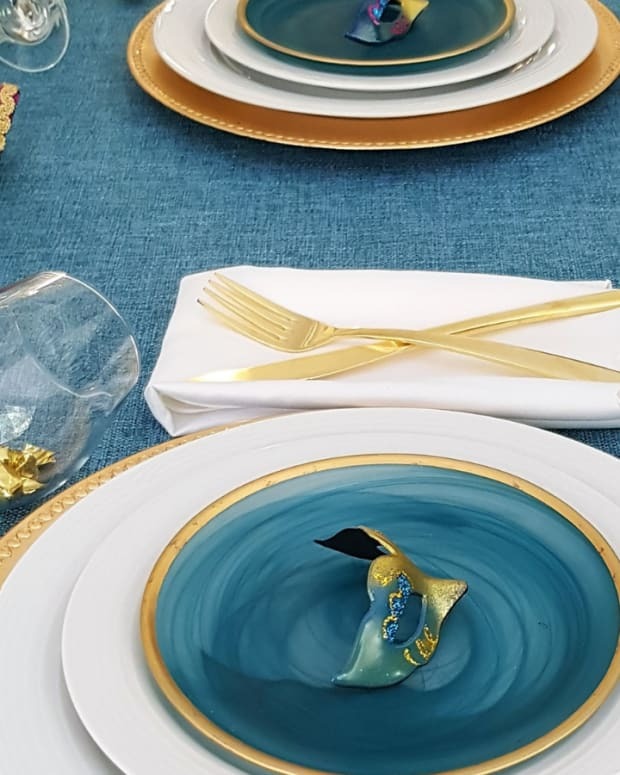 Last, but certainly not least, is one of my favorite elements of table setting- I adore the creative potential of the napkins and seating cards. 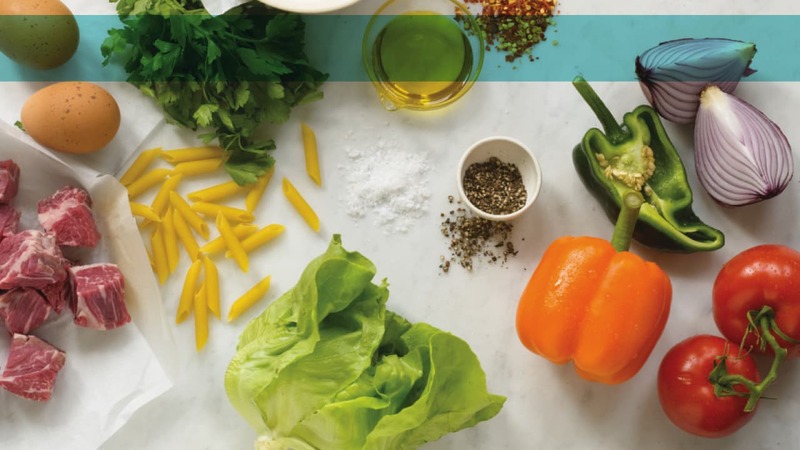 Napkins come in a variety of materials and textures, from linen to silk, and may be folded and placed in myriad ways-- the center of the dinner plate, or beneath the forks. 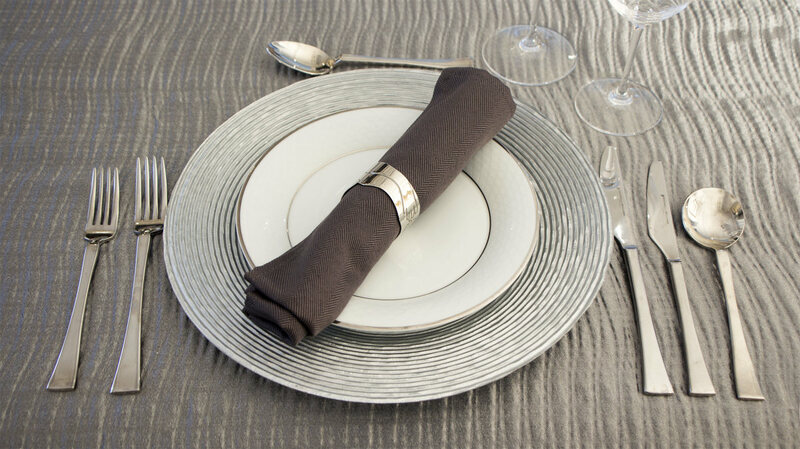 Although optional, napkin rings can really animate your setting as they come in so many unique designs. 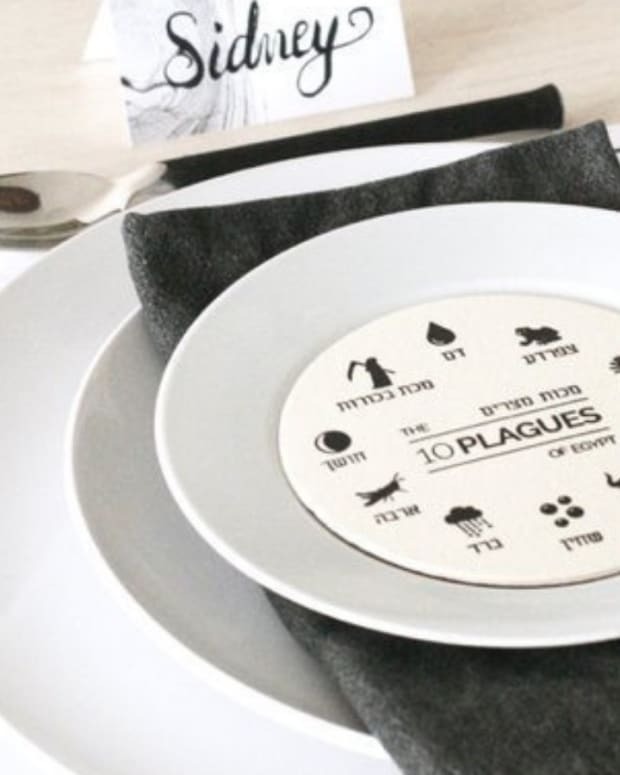 Like the table settings they grace, seating cards are also aesthetically pleasing while serving a purpose. Try matching your seating cards with the theme of the event- whether it be a holiday, or simply a color scheme. Small party favors or edible treats can double as whimsical place cards.